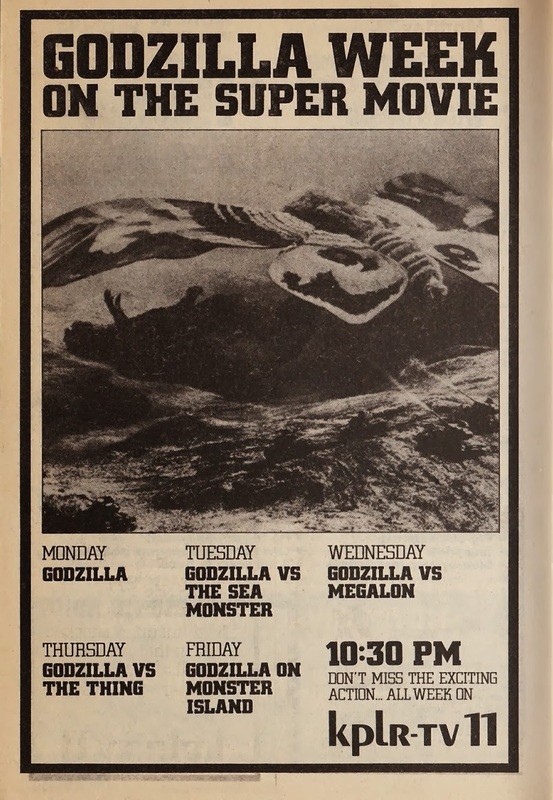 The first ad shows the schedule for February 24th through March 2nd, 1979. The second two ran sometime between 1978 and 1980. 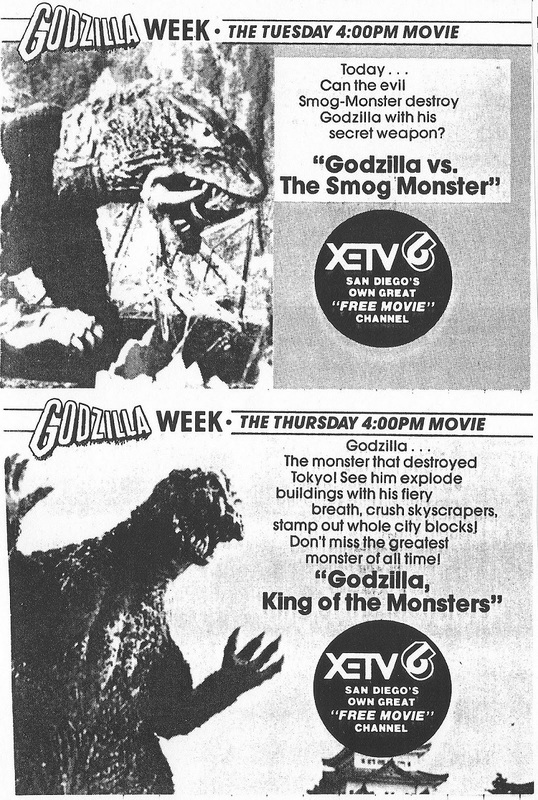 Notice the emphasis on “free movie,” indicating the rise of subscription cable at the time. 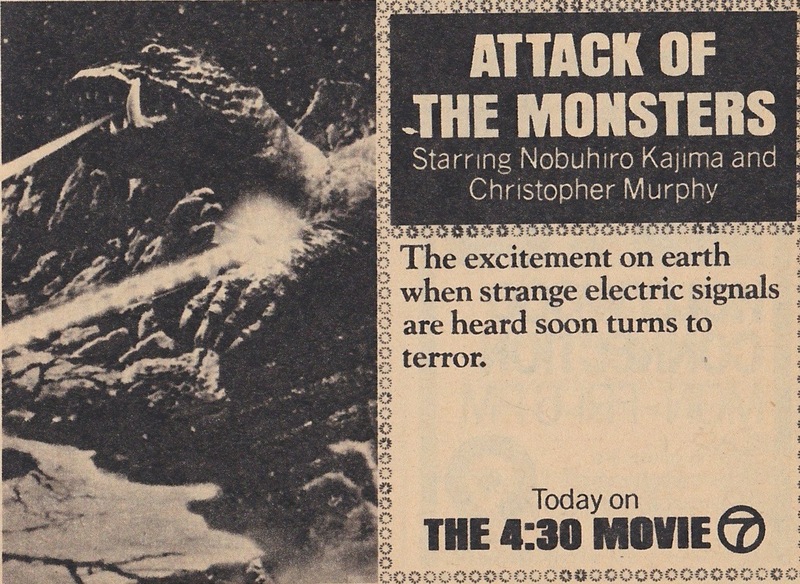 Also, that’s Gamera in the promo for Godzilla vs. the Smog Monster (Godzilla vs. Hedorah, 1971), not the Smog Monster. KPLR is a St. Louis station. XETV is in San Diego. Man I would love to watch these movies, I would have to stay up late to watch all of the 10:30 ones and leave work early to catch the 4:00 ones. Ha. 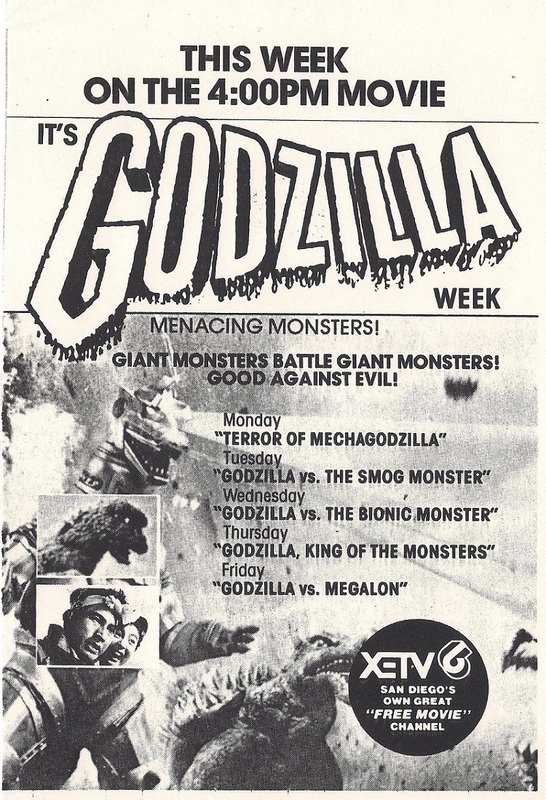 I would totally leave work early for a Godzilla Week, especially if they ran the old commercials with the movies. Actually, we could probably start a “vintage commercial channel,” paid for by new commercials. That would be awesome. Very American. Needless to say, I’ve really been enjoying this week’s posts! I wonder what they considered Hedorah’s “secret weapon”? I remember catching Monster week (and Planet of the Apes week) on the ABC 4:30 movie growing up in Copiague, NY in the early 80’s. Good memories! These are great, Tom. Thanks so much!